Sewell is pleased to offer you one of our new, limited use Loan Cars for purchase. This vehicle was driven by a Sewell service customer and has been fully maintained by our service department. As an untitled new car, this vehicle is eligible for all for all manufacturer rebates and incentives which are included in the advertised price. Please remember we have a limited quantity of Loan Cars available. Special pricing includes $500 rebate and $3,210 Sewell discount. Not compatible with special finance, lease and some other offers. This offer is valid through 4/30/2019. Applies to stock number 5034080. 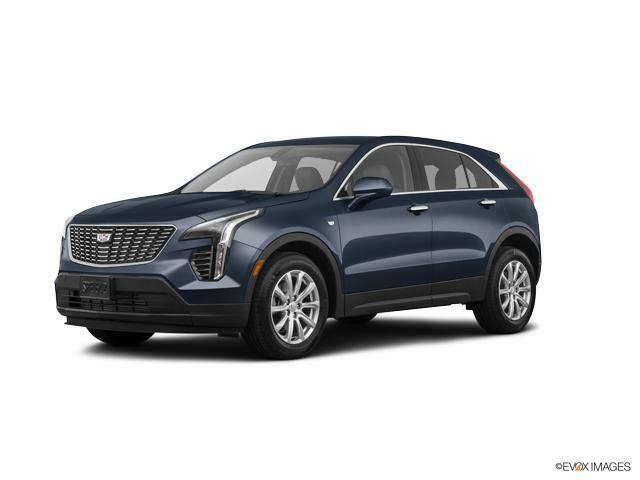 This vehicle is located at Sewell Cadillac of Dallas. Sewell is pleased to offer you one of our new, limited use Company Cars for purchase. This vehicle was driven by a Sewell associate and has been fully maintained by our service department. As an untitled new car, this vehicle is eligible for all manufacturer offers which are included in the advertised price. Please remember we have a limited quantity of Company Cars available. Special offer includes $1,500 Cadillac offer and $4,223 Sewell offer. This offer is not compatible with special finance, lease and some other offers. Please contact us to learn more about this Company Car. This offer is valid through 4/30/2019. Applies to stock number 5033090. Sewell is pleased to offer you one of our new, limited use Loan Cars for purchase. This vehicle was driven by a Sewell service customer and has been fully maintained by our service department. As an untitled new car, this vehicle is eligible for all for all manufacturer rebates and incentives which are included in the advertised price. Please remember we have a limited quantity of Loan Cars available. Special pricing includes $500 rebate and $3,840 Sewell discount. Not compatible with special finance, lease and some other offers. This offer is valid through 4/30/2019. Applies to stock number 5029272. This vehicle is located at Sewell Cadillac of Dallas. Sewell is pleased to offer you one of our new, limited use Company Cars for purchase. This vehicle was driven by a Sewell associate and has been fully maintained by our service department. As an untitled new car, this vehicle is eligible for all manufacturer offers which are included in the advertised price. Please remember we have a limited quantity of Company Cars available. Special offer includes $1,500 Cadillac offer and $3,748 Sewell offer. This offer is not compatible with special finance, lease and some other offers. Please contact us to learn more about this Company Car. This offer is valid through 4/30/2019. Applies to stock number 5032833. Sewell is pleased to offer you one of our new, limited use Loan Cars for purchase. This vehicle was driven by a Sewell service customer and has been fully maintained by our service department. As an untitled new car, this vehicle is eligible for all for all manufacturer rebates and incentives which are included in the advertised price. Please remember we have a limited quantity of Loan Cars available. Special pricing includes $500 rebate and $3,295 Sewell discount. Not compatible with special finance, lease and some other offers. This offer is valid through 4/30/2019. Applies to stock number 5029275. This vehicle is located at Sewell Cadillac of Dallas. Sewell is pleased to offer you one of our new, limited use Company Cars for purchase. This vehicle was driven by a Sewell associate and has been fully maintained by our service department. As an untitled new car, this vehicle is eligible for all manufacturer offers which are included in the advertised price. Please remember we have a limited quantity of Company Cars available. Special offer includes $1,500 Cadillac offer and $3,723 Sewell offer. This offer is not compatible with special finance, lease and some other offers. Please contact us to learn more about this Company Car. This offer is valid through 4/30/2019. Applies to stock number 5031853. This vehicle is located at Sewell Cadillac of Dallas. Sewell is pleased to offer you one of our new, limited use Company Cars for purchase. This vehicle was driven by a Sewell associate and has been fully maintained by our service department. As an untitled new car, this vehicle is eligible for all manufacturer offers which are included in the advertised price. Please remember we have a limited quantity of Company Cars available. Special offer includes $1,500 Cadillac offer and $3,723 Sewell offer. This offer is not compatible with special finance, lease and some other offers. Please contact us to learn more about this Company Car. This offer is valid through 4/30/2019. Applies to stock number 5033225. This vehicle is located at Sewell Cadillac of Dallas. Sewell is pleased to offer you one of our new, limited use Loan Cars for purchase. This vehicle was driven by a Sewell service customer and has been fully maintained by our service department. As an untitled new car, this vehicle is eligible for all manufacturer offers which are included in the advertised price. Please remember we have a limited quantity of Loan Cars available. Special offer includes $500 Cadillac offer and $4,460 Sewell offer. This offer is not compatible with special finance, lease and some other offers. Please contact us to learn more about this Loan Car. This offer is valid through 4/30/2019. Applies to stock number 5036169. Sewell is pleased to offer you one of our new, limited use Loan Cars for purchase. This vehicle was driven by a Sewell service customer and has been fully maintained by our service department. As an untitled new car, this vehicle is eligible for all for all manufacturer rebates and incentives which are included in the advertised price. Please remember we have a limited quantity of Loan Cars available. Special pricing includes $500 rebate and $3,420 Sewell discount. Not compatible with special finance, lease and some other offers. This offer is valid through 4/30/2019. Applies to stock number 5032297. This vehicle is located at Sewell Cadillac of Dallas. Sewell is pleased to offer you one of our new, limited use Loan Cars for purchase. This vehicle was driven by a Sewell service customer and has been fully maintained by our service department. As an untitled new car, this vehicle is eligible for all manufacturer offers which are included in the advertised price. Please remember we have a limited quantity of Loan Cars available. Special offer includes $500 Cadillac offer and $4,325 Sewell offer. This offer is not compatible with special finance, lease and some other offers. Please contact us to learn more about this Loan Car. This offer is valid through 4/30/2019. Applies to stock number 5031854. This vehicle is located at Sewell Cadillac of Dallas. Sewell is pleased to offer you one of our new, limited use Company Cars for purchase. This vehicle was driven by a Sewell associate and has been fully maintained by our service department. As an untitled new car, this vehicle is eligible for all manufacturer offers which are included in the advertised price. Please remember we have a limited quantity of Company Cars available. Special offer includes $1,500 Cadillac offer and $4,967 Sewell offer. This offer is not compatible with special finance, lease and some other offers. Please contact us to learn more about this Company Car. This offer is valid through 4/30/2019. Applies to stock number 5029637. This vehicle is located at Sewell Cadillac of Dallas. Sewell is pleased to offer you one of our new, limited use Loan Cars for purchase. This vehicle was driven by a Sewell service customer and has been fully maintained by our service department. As an untitled new car, this vehicle is eligible for all manufacturer offers which are included in the advertised price. Please remember we have a limited quantity of Loan Cars available. Special offer includes $500 Cadillac offer and $4,387 Sewell offer. This offer is not compatible with special finance, lease and some other offers. Please contact us to learn more about this Loan Car. This offer is valid through 4/30/2019. Applies to stock number 5030907. Sewell is pleased to offer you one of our new, limited use Loan Cars for purchase. This vehicle was driven by a Sewell service customer and has been fully maintained by our service department. As an untitled new car, this vehicle is eligible for all for all manufacturer rebates and incentives which are included in the advertised price. Please remember we have a limited quantity of Loan Cars available. Special pricing includes $500 rebate and $4,100 Sewell discount. Not compatible with special finance, lease and some other offers. This offer is valid through 4/30/2019. Applies to stock number 5029283. This vehicle is located at Sewell Cadillac of Dallas. Sewell is pleased to offer you one of our new, limited use Loan Cars for purchase. This vehicle was driven by a Sewell service customer and has been fully maintained by our service department. As an untitled new car, this vehicle is eligible for all manufacturer offers which are included in the advertised price. Please remember we have a limited quantity of Loan Cars available. Special offer includes $500 Cadillac offer and $5,008 Sewell offer. This offer is not compatible with special finance, lease and some other offers. Please contact us to learn more about this Loan Car. This offer is valid through 4/30/2019. Applies to stock number 5030905. This vehicle is located at Sewell Cadillac of Dallas. Sewell is pleased to offer you one of our new, limited use Company Cars for purchase. This vehicle was driven by a Sewell associate and has been fully maintained by our service department. As an untitled new car, this vehicle is eligible for all manufacturer offers which are included in the advertised price. Please remember we have a limited quantity of Company Cars available. Special offer includes $1,500 Cadillac offer and $3,959 Sewell offer. This offer is not compatible with special finance, lease and some other offers. Please contact us to learn more about this Company Car. This offer is valid through 4/30/2019. Applies to stock number 5036817. This vehicle is located at Sewell Cadillac of Dallas. Sewell is pleased to offer you one of our new, limited use Company Cars for purchase. This vehicle was driven by a Sewell associate and has been fully maintained by our service department. As an untitled new car, this vehicle is eligible for all manufacturer offers which are included in the advertised price. Please remember we have a limited quantity of Company Cars available. Special offer includes $1,500 Cadillac offer and $2,843 Sewell offer. This offer is not compatible with special finance, lease and some other offers. Please contact us to learn more about this Company Car. This offer is valid through 4/30/2019. Applies to stock number 5036240.